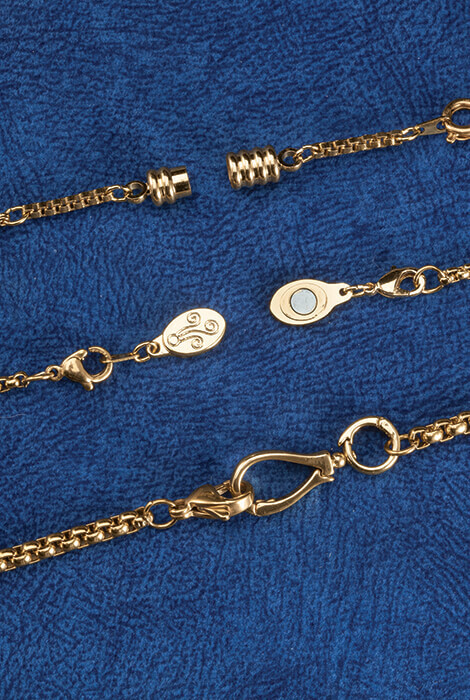 Help all your necklaces fit perfectly with this pack of extenders in 3 styles and lengths. The 1"L extender features 2 large, easy-to-open rings that flip open and snap shut — perfect for anyone with limited dexterity. The 1 1/4" long extender features a clasp on one end, a ring on the other, and 2 magnetic faces that effortlessly snap together. 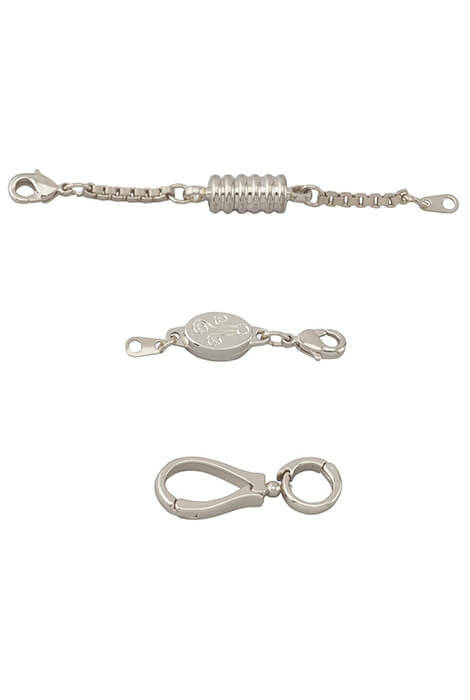 The 2 1/2" long extender features magnetic ends that snap together. 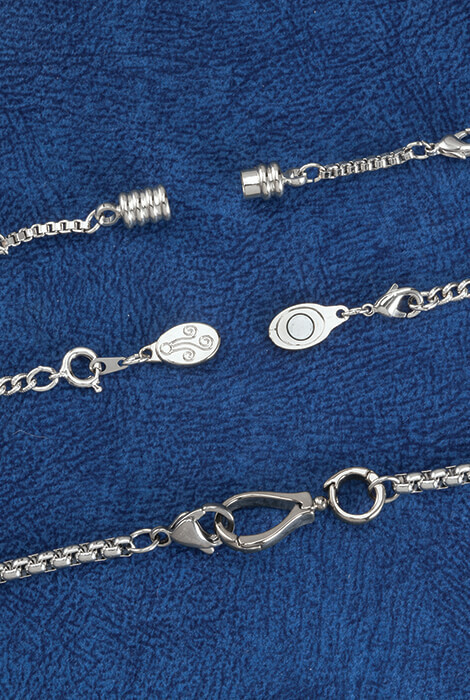 Choose from silvertone or goldtone to complement any wardrobe.